Done correctly, an employee newsletter can boost morale among employees, educate them about your organization, as well as provide many other benefits. Does your CEO take your employee newsletter seriously? Do you, as editor of the employee newsletter, get the support, funding and recognition that you deserve from upper management? Sadly, some CEOs and corporate executives focus more on the costs of an employee newsletter rather than the many benefits that an internal publication can provide. However, front-line and mid-level employees usually relish the benefits of a company newsletter more than upper-level managers. Ask any employee whose accomplishments have been highlighted in a newsletter. That person would likely say that being recognized and applauded in an employee newsletter, in front of the entire company, can mean even more than receiving a financial incentive for a job well done. Thankfully, some CEOs do realize the morale-boosting aspects of an employee newsletter and its resulting positive effect on the bottom line. And many know that using a newsletter to keep workers informed of what’s going on within the company, in all its divisions and locations, is a worthwhile investment in the education of employees. But few CEOs, or employee newsletter editors for that matter, realize how much of a strategic tool the publication can be in helping companies achieve their overall objectives. 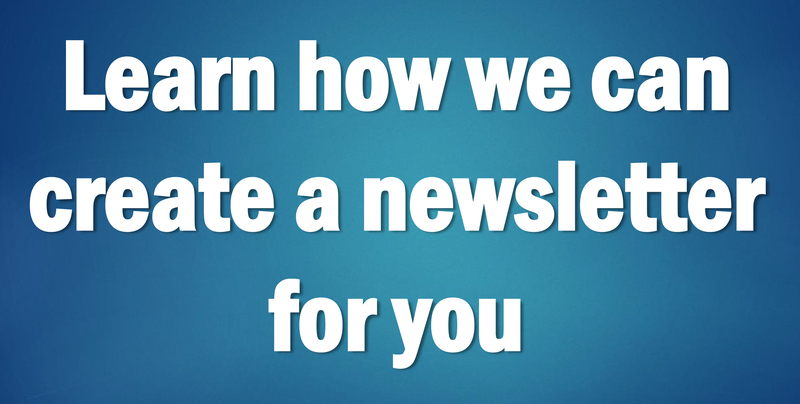 Here then is a game plan for endearing your employee newsletter to the heart of your CEO. In effect, you’ll be using your newsletter as a tool to help your CEO accomplish his or her goals for the entire company. Follow this foolproof plan, and your CEO will beg you for the next issue and worship the keyboard you type on. You will be treated like an editorial god. Employees can’t work together to help achieve a goal if they don’t know what the goal is. As simple and logical as that sounds, it’s surprising how many companies don’t funnel their CEO’s objectives any further down than upper management. The purpose of this initial article is to cascade your CEO’s objectives down to every employee, at every level. Want proof? Go to the lowest-level employees in your organization and ask “What are the top three things our company is trying to accomplish this year?” If your organization is like most, those employees probably won’t have a clue what the answer is. So the main purpose of this article is to make sure every employee knows your CEO’s top priorities. For instance, maybe one of your company’s objectives is to reduce expenses, so the company has a cost structure that’s more in line with its competitors. In your article, make sure your CEO is quoted as to why these objectives are crucial to the success of your company. For example, the CEO may explain that if expenses continue to increase, the company will have to raise the prices of its products even though its competitors are planning to hold prices level. This price increase would likely lead to a loss of customers, a loss of market share and, ultimately, could lead to a slow down in production and a loss of jobs within the company. The next step is to plan a series of articles in each issue of your employee newsletter that reinforce the year’s top objectives. You can’t count on just one article to get the job done. You have to continually reinforce the message with a series of articles. One way to do that is to write about employee success stories, especially those made by lower-ranking workers. This not only gives the featured employees recognition and positive reinforcement, it serves as a model for other employees to follow. Write about employee success stories, especially those made by lower-ranking workers. For instance, if a mail room clerk figured out a new way to save your company thousands of dollars per year by streamlining inter-office mail distribution, be sure to write about it. 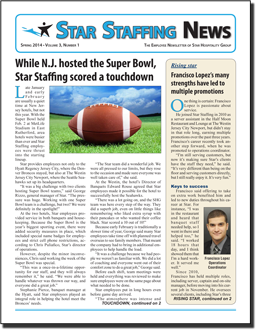 Then in the following issue, you may want to write about an employee who looked into ways to cut costs and discovered the company would save $15,000 per year by leasing copiers rather than buying them. These articles will reinforce your CEO’s priorities and show that, no matter what the employee’s job title, he or she can have an impact in helping the company reach its goals. Another way to reinforce your CEO’s priorities is to periodically run “report card” articles. These stories simply remind employees of each objective’s goal and how well, in numbers, employees are meeting those goals. For instance, with the objective to cut expenses an average of 8 percent per employee, you could write a story explaining the progress employees are making and run a bar graph with one bar showing the goal and the other bar showing the year-to-date percent reduction. You’ll also want to run a final report-card article at year’s end to show the company’s final results for each objective. The article should also contain your CEO’s commentary on the final numbers, thank-yous to appropriate employees and departments and possibly a pep talk to encourage employees to continue their achievements in these areas. As you track your employees’ progress, you and your CEO will be amazed what you can accomplish with your employee newsletter when you use it to rally workers toward common goals. It won’t take long for your CEO to see the value of an employee newsletter, and more specifically, see the value of you as editor.